Sometimes teens want nothing more than to escape their parents, but I made my kids and their cousins join me in a locked room, where we&apos;d have to cooperate to find our way out. Sounds crazy, right? Actually, it was a blast. I had the kids join me at Irvine&apos;s Eskape Rooms, the brainchild of UCI alumni, Chris Im and Daniel Lee (that&apos;s Chris Im in the picture above with the kids). The challenge is to find clues and solve a series of puzzles, unlock cabinets to reveal even more clues until you ultimately solve all the puzzles to unlock the exit within one hour&apos;s time. After a short briefing, we were lead into the room. We watched as the door closed, locked and the countdown clock began. And oh boy, the pressure was on! Immediately everyone&apos;s personalities were magnified. We had the leader who organized the quest, the cheerleader who kept the pace going and encouraged the team, the wise guy who offered suggestions for others to solve and gain the win, the quiet ones who worked in the background. There was some competition for leadership, then we instinctively broke into two small groups and worked different parts of the room in tandem. If you get stuck you can ask for a hint, but if you&apos;re competitive like we were, you can save your hint for when time&apos;s running out. And when the time is running out it&apos;s better than any action movie. We were yelling, high-fiving, dashing around the room. Talk about adrenalin! Did we win the challenge? Well, we missed it by THAT much. Seconds. Drat!! Even though we failed the challenge, the best part of the day for me was driving home. Not one kid was on their phone. They were full of enthusiastic storytelling, reliving the experience with laughter and playful ribbing. And THAT was a huge win. Reservations are booked as a private party, so strangers won&apos;t join your group. Exklusive. I like that. Keep your squad between 3 and 8 to have the best chance to eskape. We had 5 people and it was perfect. We made sure to show up 15 minutes early to get checked in and briefed. Be warned, you risk losing your adventure if you arrive more than 15 minutes after your appointment time slot, and you definitely don&apos;t want to miss out on all the fun. You&apos;re in a locked room and the clock is ticking. Go to the bathroom before the challenge. ‘nuff said. Emergency? Claustrophobic? Just tell the gamekeeper, who monitors via video. You&apos;ll be let out, no problemo. Want to book a private event? Email support@eskaperooms.com or call (949) 387-8073 for a custom booking time. 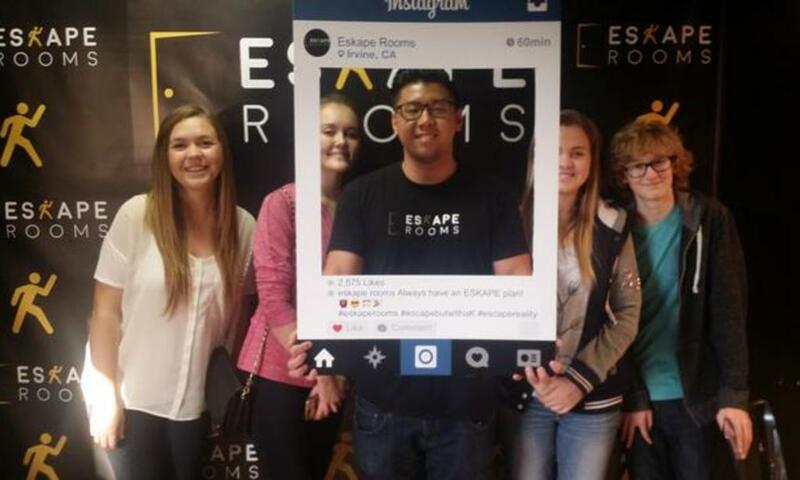 Book your Eskape Room Challenge today!